One of the best-known fridge freezer brands, Samsung fridge freezers come in a range of sizes and styles to suit all homes and budgets. They’re designed to look good in any kitchen and create as much storage space as possible. When you’ve put a lot of effort into creating the perfect kitchen, it makes sense to choose a fridge freezer that will complement the style. 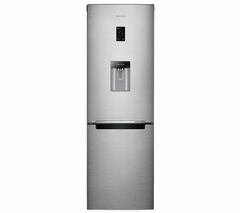 When you install a Samsung fridge freezer in your kitchen, you get more than just a place to put your food. You get a modern appliance with an impressive storage capacity. 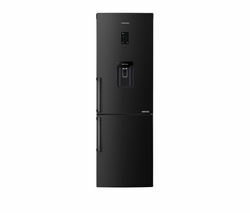 With the American-style food showcase model, Samsung have engineered one of the most stylish and versatile fridge freezers around. Featuring an easy access drawer and an incredible amount of storage space so you can keep more inside. This impressive side-by-side fridge freezer also has LED lighting so you'll always have enough light to find what you’re looking for inside. Samsung fridge freezers not only help keep your food fresh for longer, They also look great and use superior technology to maximize inner space without having to adjust the outer dimensions. Whether you’re looking for a large upright, American-style fridge freezer or something smaller, a Samsung fridge freezer is a great option for storing your family’s food safely and hygienically.